This is BY FAR my FAVORITE recipe that I’ve made while on my Nutritional Cleansing Journey. I will be making this OVER and OVER and OVER again … even when I’m NOT on my 30 Day journey. Enjoy 🙂 ! Dump fresh basil leaves, dried oregano, parsley, garlic powder and ground pepper into the blender. Dump sauce into the pan with the ground chicken and HEAT on low for about 10-15 minutes. Serve and Enjoy 🙂 ! 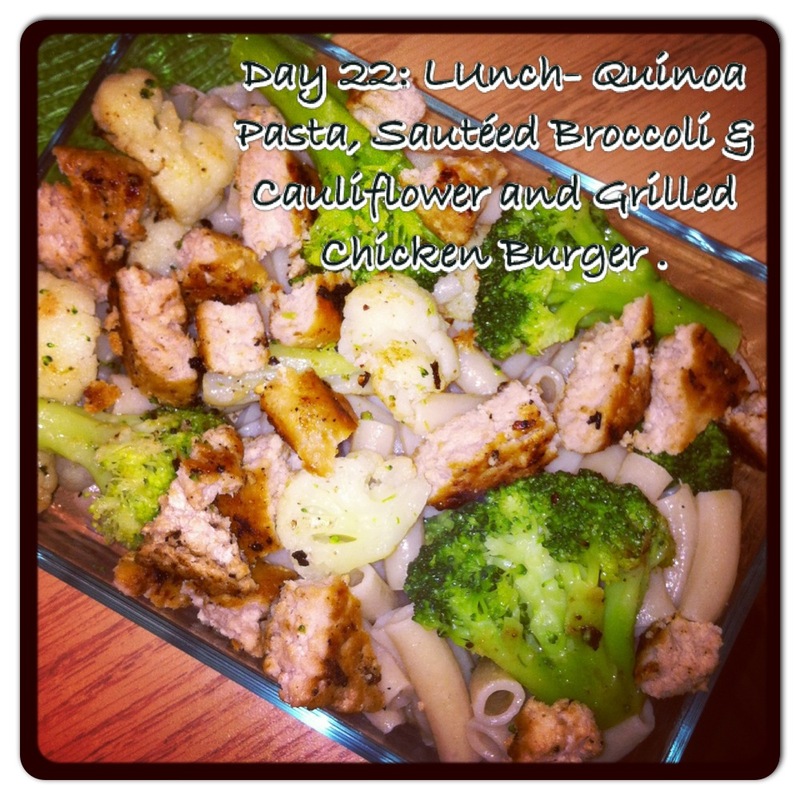 Another Lunch – Super Quick, Easy and Tasty! While the shrimp is cooking, heat the peppers until they begin to brown. 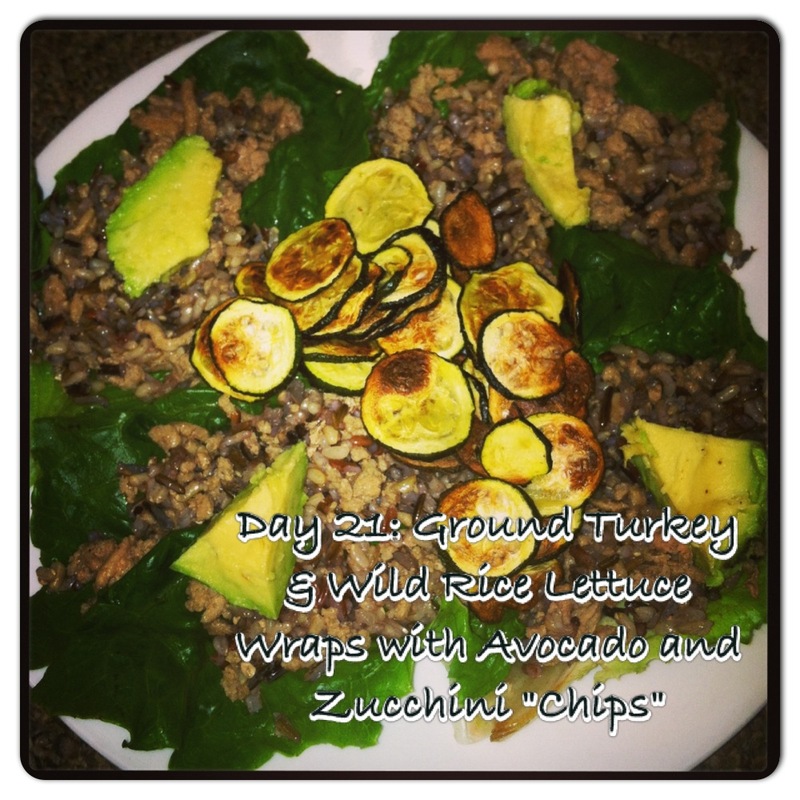 I was intrigued by the ground turkey / wild rice combo from a few nights previous to this dinner and was craving it again .. so, here’s a different take with similar ingredients! We’ll start with the “Who Am I?” portion of this entry and go from there. I’m a 26 year-old, Zumba Instructor and Grad Student (at Rowan University in the Higher Education Administration program) who loves life, and wants to get the most out of it (I mean, who doesn’t?). 26 days ago (exactly), I opted to begin a Nutritional Cleansing journey. Before I made this decision I worked out pretty consistently and ate as clean as possible, but never felt my best. Following this program, I feel better than I have EVER felt before. My energy levels are up, I’m sleeping better, and I’m in the best shape of my life. With all of that being said, in addition to having the shakes and essential vitamins, I’m consuming 2 snacks and 1 well-balanced meal a day. 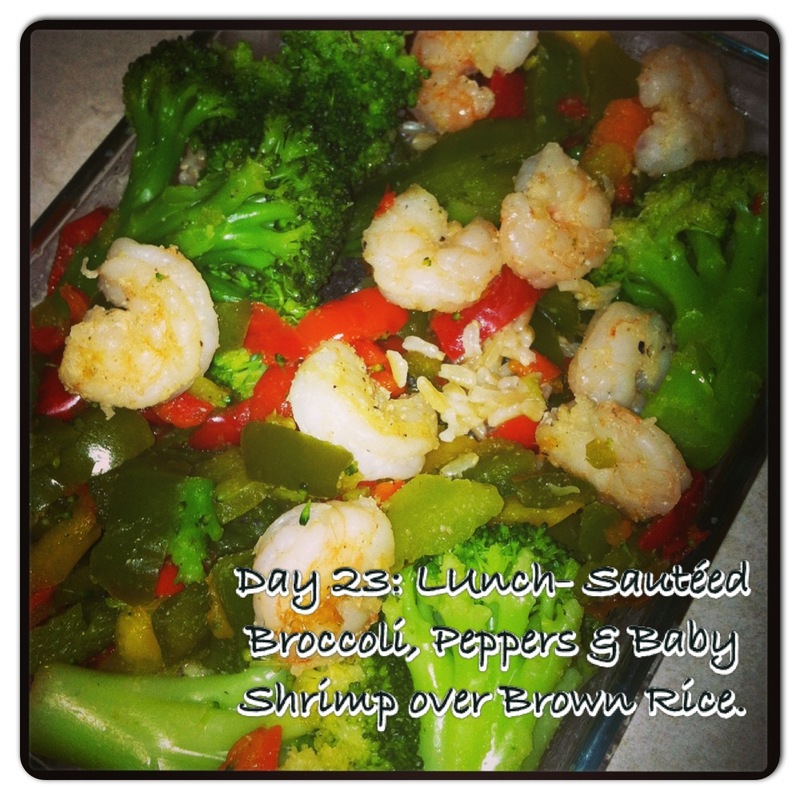 My goal was to cook a new, creative, delicious meal for all 26 days I was eating lunches or dinners on the program. Something you should know about me: I LOVE food, I LOVE cooking, and I cannot eat the same thing two days in a row without being bored. THIS is how I developed the challenge for myself to make something new every day. I started posting pictures of my meals every night on Instagram and Facebook (yeah, I’m that girl), and I got a MAJOR response of interest from not only the people that were cleansing, but ALSO the ones that weren’t. No fruits (except a half a green apple) because of the high sugar content. For those of you thinking, “Yeah right, you just took the delicious out of any food you could make”, I ask that you try any of these recipes and tell me that they’re not awesome, filling and leave you (and your family / friends) wanting more. 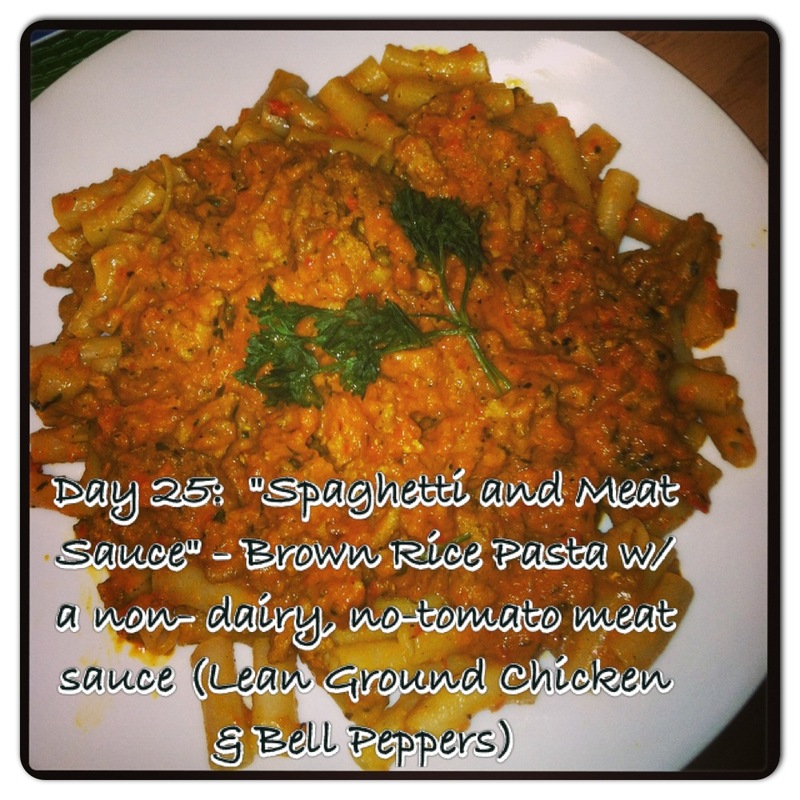 The next 26 posts will be my meals from each of the days I cooked a lunch or dinner – AND, after my 30 days is up, I’ll be sure to keep adding new & fun recipes. Hope you all enjoy ❤ .